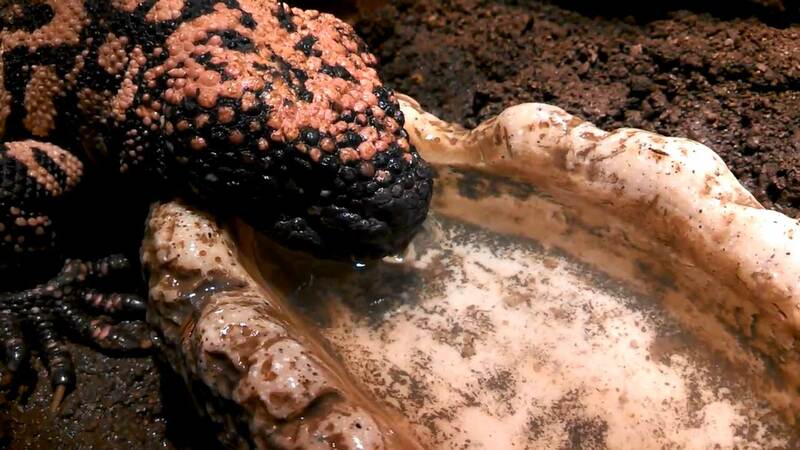 Families learn about new critters at the Omaha Zoo. My husband got an offer he couldn&apos;t refuse: a fantastic job in Omaha, Nebraska. Even though it was a wonderful opportunity, we and our two pre-teen daughters-Abby and Lindsay-would be moving away from family and friends back East. This move to the Midwest was tough on all of us, but especially the girls. In an effort to get them excited for the transition, we came for a pre-move visit to get to know the city a little better. We stayed in a hotel in the Old Market, visited museums, and ate in wonderful restaurants, but nothing cheered the girls up more than the zoo. Omaha&apos;s Henry Doorly Zoo is ranked the world&apos;s best zoo by TripAdvisor, and for good reason. Getting there was easy for us newbies, parking was free, and our adventure was easily an entire day&apos;s worth of exhibits and activities at a great value. Explore areas like the Butterfly and Insect Pavilion. Hands-on exhibits are the most fun way to learn. As we pulled into the parking lot, both daughters oohed and aahed at the enormous size of the Desert Dome (we later learned it&apos;s actually the world&apos;s largest indoor desert). As we entered the zoo, map in hand, my youngest, Lindsay, beamed and shouted "Desert Dome!" Off we went, with my husband and I secretly smiling at each other after seeing the girls&apos; reaction. Once inside, we wandered the winding trails under the 13-story, weather-controlled dome. My oldest, Abby, grabbed my hand and pointed out a roadrunner. "Where is Wile E. Coyote?" she laughed. We walked through deserts and saw hummingbirds, meerkats, and cobras; a few of the amazing animals and plants that call the desert home. Our next stop was directly under the Desert Dome. We descended into the dark and mysterious Kingdoms of the Night and we soon found out that it&apos;s the world&apos;s largest nocturnal exhibit (we were starting to feel a pattern here). Kingdoms of the Night gave us a chance to observe critters that like dark and damp environments. There were plenty of insects (where my girls totally overused the word "gross" and clung to their dad) bats, beavers, fish and a swamp full of alligators. I can still picture my daughters and husband pointing with wide eyes at an alligator camouflaging itself. Back in the daylight, our oldest spotted the Butterfly and Insect Pavilion on the map. This amazing exhibit is home to everything from beautiful butterflies to creepy crawly centipedes (again, insert the word "gross" here). We were surrounded by hundreds of free-flying butterflies and watching my daughters interact with these lovely creatures was a pure delight for me. 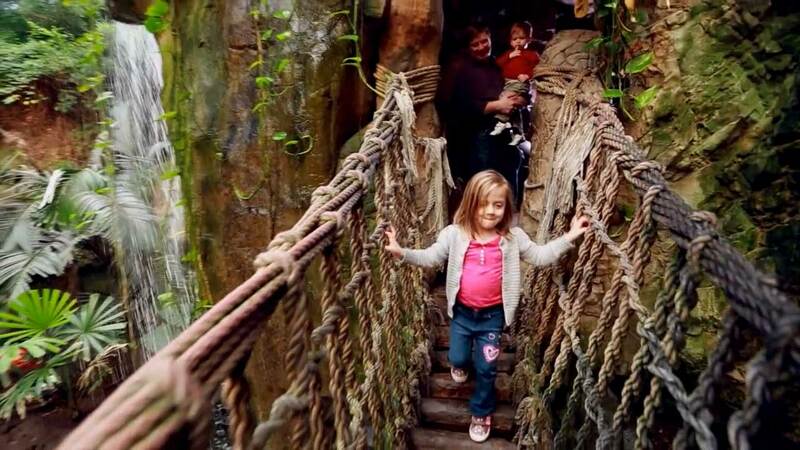 Indoor waterfalls make for a magical family outing. The Desert Dome is perfect for the whole family. The Aquarium was next. We came to a complete standstill watching the Antarctic penguins as they entertained us. "That&apos;s us, we swim like that," laughed Lindsay, as her best penguin imitation elicited laughs from everyone. We shuffled off and found ourselves at the bottom of the ocean, facing sharks, sea turtles, stingrays and coral reefs in a 70-foot underwater tunnel. Everyone was hypnotized by the lazily swimming sharks and their friends. We saw hundreds more fish and other sea creatures - but we couldn&apos;t tear Abby away from the dragon seahorses. Lindsay and I let Abby and her dad linger with the seahorses for a few minutes as we walked hand-in-hand toward the next new find. Abby and her dad soon caught up and we were all getting hungry but didn&apos;t want to stop our zoo exploration. It turned out that there was an easy way to solve our dilemma. We ate at the zoo in the Durham Treetops Restaurant and had a quick lunch with seats overlooking the Lied Jungle and a crazy, swinging, totally entertaining Gibbon. There, we mapped out the next part of our day and excitedly chatted about all that we had seen so far. No mention of the move, only happy smiles and giggles about gross bugs. The Lied Jungle, America&apos;s largest indoor rainforest, was the perfect place for an after-meal hike. We navigated dirt trails in and around waterfalls and made our way through several of the world&apos;s rainforests. Gibbons, like our lunch-time friend, swung from trees overhead; macaws called to each other; and the sloth, well, he slothed quietly and slowly. Monkeys, pygmy hippos and many other jungle animals amused us with their antics. After the hilarious Gibbon&apos;s antics, we knew we were ready for some big monkey business and swung over to Gorilla Valley and Orangutan Forest. I loved this part of the zoo-there were more than two acres of open, free space for the gorillas to do as they pleased. A few gorillas sat near the windows, perfectly positioned for selfies with our pre-teenage girls. "They&apos;ve already met boys in Omaha," joked their dad, at which we all laughed-really laughed! We then went to Orangutan Forest where you can watch the orangutans from above or below. We chose both. Bring your family and experience the Desert Dome. We discussed our next stop as we ate ice cream from one of the many concession stands. Do we visit the birds in the aviary, or spend time at the Cat Complex and Cheetah Valley? Yes to all of these, voted Lindsay. Or, do we go to the Sea Lion Pavilion and Giraffe Complex, as Abby was begging to do? I suggested (with tired feet in mind), a steam locomotive train ride around the park, a turn or two on Sue&apos;s Wildlife Carousel and a leisurely ski-lift ride over giraffes and cheetahs on the Skyfari. While we all agreed that each of our agendas was exceptional, another dilemma arose as we hadn&apos;t visited Expedition Madagascar, Durham&apos;s Bear Canyon or gone to pet animals at Red Barn Park. "Well, we live here now so we can come back and do all of that," said Abby nonchalantly. "Yeah," Lindsay added with a grin. "We can come back tomorrow!" That moment, my heart melted and I knew my girls were going to be ok. I knew the girls would miss their friends and family, for sure, but what a great start to our new family adventure in Omaha with our first of many visits to the Omaha Zoo. As the afternoon came to a close and we reluctantly made our way to the exits, we passed the Lozier IMAX Theater and put that on the list for our next visit. The gift shop rounded out the day with souvenirs of a wonderful experience. Later that night as I tucked the girls into bed, I heard them whispering about our day at the zoo. I&apos;m not sure who said it, but all I heard was, "I think I&apos;m going to like it here." Thank you, Omaha Zoo-you truly moved us. 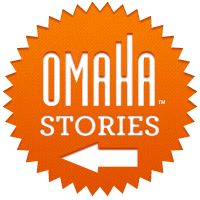 Plan your visit to Omaha by downloading your free brochures & maps. 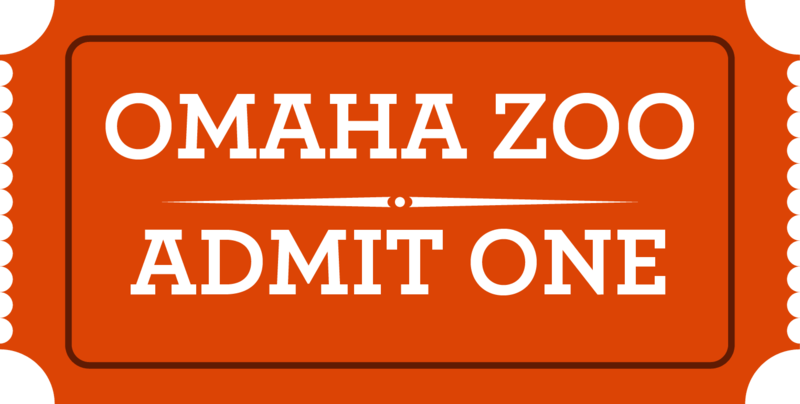 Download the Omaha Savings app to save $2 off zoo admission for up to 6 people!